Shipwrecks, Lighthouses, great storm stories! This book has it all. 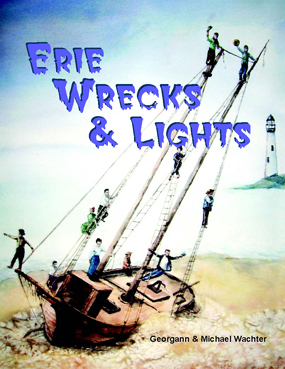 Explore the history and legends of Lake Erie's Lighthouses and take a fascinating look at the shipwrecks of Erie's greatest storms. Get an in depth look at shipwrecks located since the publication of the seminal works on Lake Erie shipwrecks, Erie Wrecks West and Erie Wrecks East.